Queenstown has been described as the adventure capital of the world and Swiss-Belresort Coronet Peak is in the centre of it all! 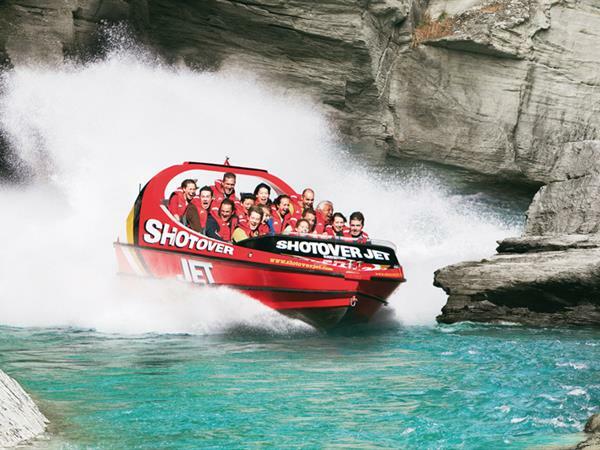 The hotel is located only 2 minutes drive (1.7km) from the world famous Shotover Jet and Canyon Swing and only 14 minutes drive (8.9km) from Coronet Peak ski field. Also enjoy bungy jumping, skydiving, caving, canyoning ... Queenstown has every adventure activity and extreme sport you can think of - and some you've never even heard of! All set to a backdrop of mind-blowing landscapes. See the Great Walks of Queenstown with Google! See the stunning walking tracks of Queenstown through the eyes of Google Street View. Stay with us and experience the wonderful scenery that surrounds the hotel. We've selected some of Queenstowns best webcams for you so you can see live views of the stunning scenery in and around Queenstown. While Queenstown is generally done at full pace, Onsen Hot Pools takes a step back to let you take in the beauty of the surroundings and simply relax.